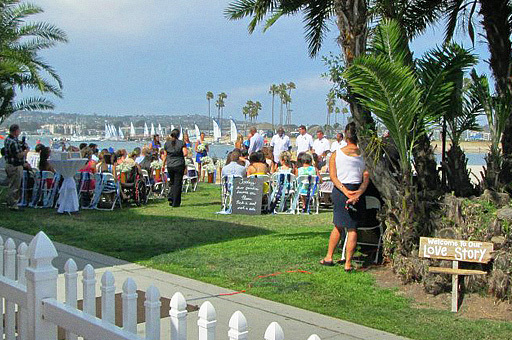 The Mission Beach Women’s Club is a charming, historical cottage located right on the bay in beautiful Mission Beach. It has a seating capacity of 110 persons. Our amenities include a sound system with microphone, caterer’s kitchen, projector screen, 60″ round tables, 6′ buffet tables. We also offer spectacular views from our bayside garden patio.